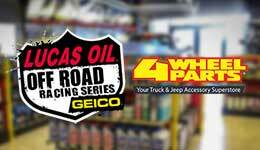 4 Wheel Parts, the global leader in aftermarket performance products and accessories for 4x4s, trucks, Jeeps and SUVs, announced today the renewal of their multi-tiered partnership with Lucas Oil Products and the Lucas Oil Off Road Racing Series. 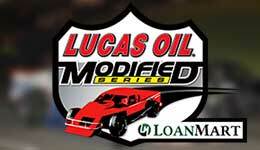 The Lucas Oil Modified Series presented by LoanMart will wave the green flag on its 11 th championship season Saturday at Havasu 95 Speedway with the strongest group of sponsors in series history lending their invaluable support. 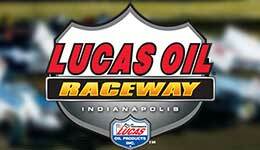 Lucas Oil Products, an industry leader in lubricants and fuel treatments, has extended the naming rights for the NHRA-owned and operated multi-purpose auto racing facility located just west of Indianapolis, officials from the world’s largest motorsports sanctioning organization announced today. 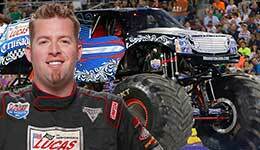 Few drivers at Lucas Oil Speedway have a more varied racing background than Republic's Bobby Barnett. From a start more than two decades ago on area pavement tracks to a stint in a dirt Modified to his current "home" in the Carson's Corner NAPA Street Stock division, Barnett is looking to step up his game in 2016.